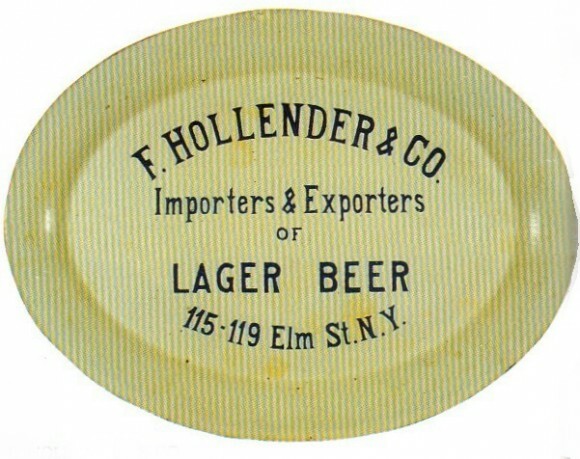 Serving Tray for F. Hollender & Company, Importers & Exporters of Lager Beer on Elm Street, New York. This is a really unique find because Hollender was not a producer, but just a distributor of beers. This pre-prohibition tray is a 17″ x 14″ oval with very simple blue lettering on a white background.